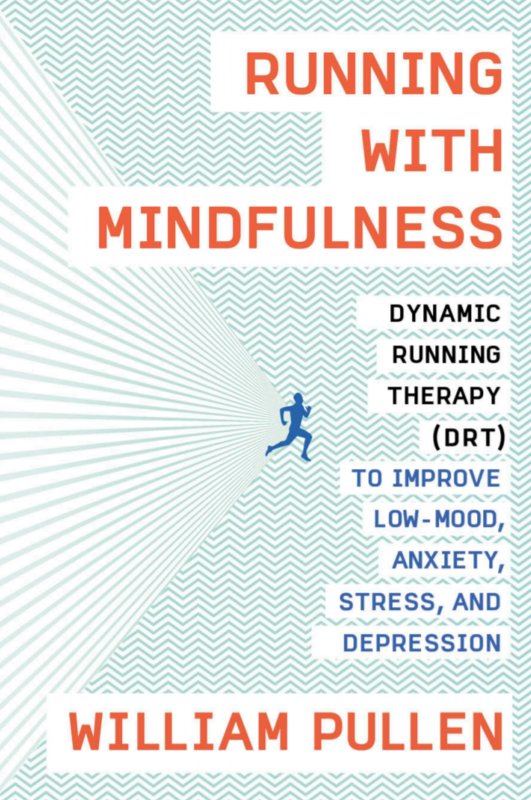 We recently ran a mindful running post on Fit Bottomed Zen with the 411 on Dynamic Running Therapy (DRT) from William Pullen, the psychotherapist who has literally written the book — Running with Mindfulness: Dynamic Running Therapy to Improve Low Mood, Anxiety, Stress, and Depression — on it. 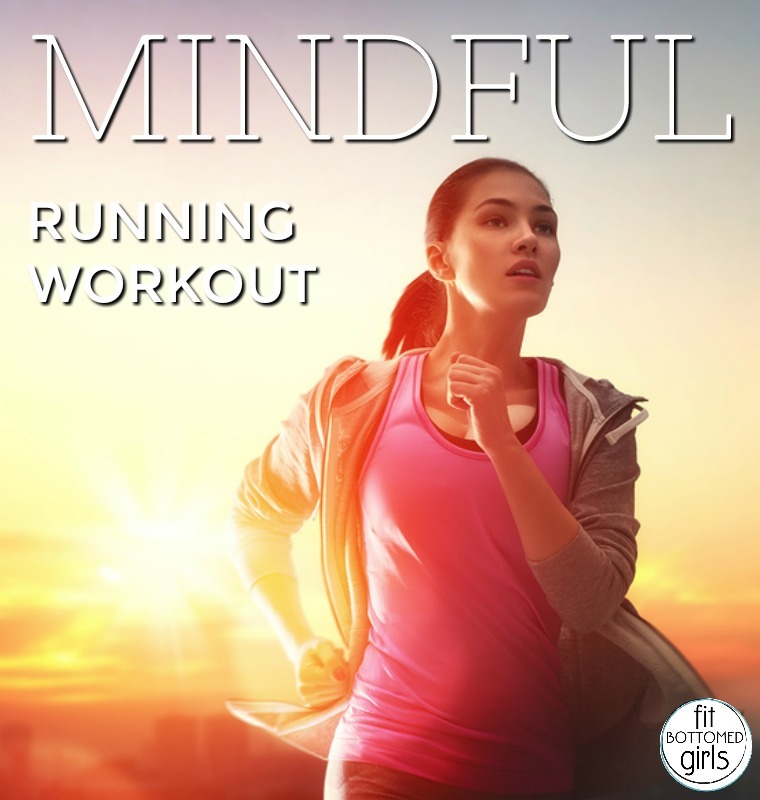 And today, we’re sharing a mindful running workout from that same book that puts DRT into practice! Once you are on the move, find a comfortable pace. This may be a different pace on different days, depending on your mood. Take a moment or two to become mindful of the weather and your surroundings. Be conscious of the colours, smells and shapes around you. Once you have a little momentum, remind yourself of your intention to run mindfully. When you are ready, choose a foot, whichever feels more comfortable, and count each time it hits the ground. Remember only one foot, and the same one each time. Count ten steps, beginning once more at one when you have done so. Keep this going. When invasive or unhelpful thoughts come, just acknowledge they have come and then let them go before returning to your mindful running. If the thoughts return, then once more let them go. It may take some time for you to get familiar with mindful running and there will be days it is harder than others. If the thoughts are saying you cannot go on any longer, ask yourself if they spring from your mind or your body. If they come from your mind they are just thoughts and not the truth, let them pass on by. When you find yourself in the kind of zone where the world disappears and it is just you and your steps, then you are in your flow. If you want to mix things up, you can try counting your breaths instead of your steps. Be mindful of the fullness of the breath as you do so. Enjoy the sensation of filling and emptying your lungs. When you are ready, start to concentrate on all the sensations you are experiencing. Begin with your body — really feel the sensation of your heel as it hits the ground. Feel the breeze on your neck or as it hits the sweat on your brow. Note how the fabric of your running gear moves with each stride and how it feels against your body. Continue through the rest of your senses. This exercise is about becoming present to your body and its sensations. As above, when invasive or unhelpful thoughts come, just acknowledge them and let them go before returning to your mindful running. Only sensations should be in your mind. When you begin to run, look at your surroundings as you pass. Really look at the detail of what is around you. This may mean the path in front of you or the trees and flowers around you. Make this your mindful running practice. Become one with your environment. This exercise is about raising your awareness and absorbing as much of your environment as you can. As above, when invasive or unhelpful thoughts come just acknowledge them and let them go before returning to your mindful running. It is only sensations that should be in your mind. What a great workout! Definitely will be using this in the future! Thanks for sharing! Great tips, it’s very informative mindful running workout tricks. Thanks for sharing such and helpful information. Great tips and very helpful in today’s hectic work schedule. Thanks for sharing, will definitely try them. This is absolutely great sounding. I am taking it slow. More like the Joggerwalkee(I stole borrowed from the book by Lewis E Caroll. “…Beware the Jabberwacci.” From Alice in Wonderland or The Looking Glass.) Anyway. I need to quiet my mind. Thing is that I have so much internal dialogue which takes a great many practices to diminish. I have trained from the DBT borrowed concepts. Nice and informative info shared! I truly like the valuable info you had provided to your article it’s very helpful and I will definitely try these tips for the best body. I too like to share some good and informative point which is essential for bodybuilding is natural and good supplements. And for that, I always prefer to use Best HGH Supplements it is for both men and Women in order to have the best body without any side effect on the body. It’s truly a must try for every individual.